Help us share our $8/mo Annual Membership campaign across social media and email. Click the buttons below and hop to the platform you want to share. For more, you can find our brand guide with logos and other resources here. A perfect little blurb you can use in your newsletter or to forward to friends and colleagues! Shooting you an email to make sure you knew about this cool and easy way to give back to Atlanta this holiday season. 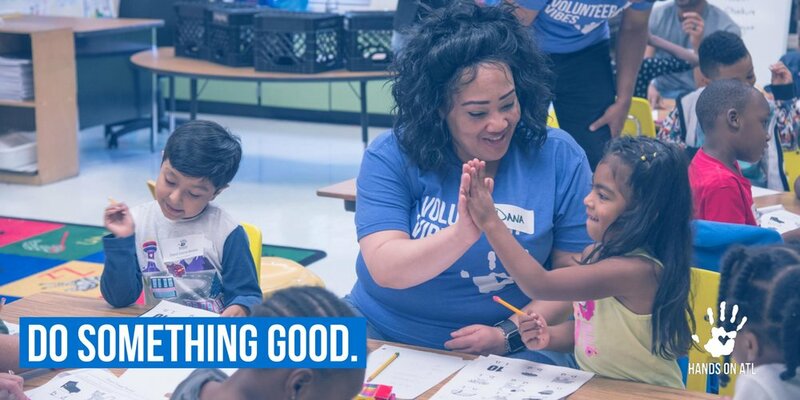 Hands On Atlanta has this campaign going on where for just $8/mo, you can become an annual member and create a lasting impact for kids in need. I can't think of an easier way to make a dent on some real problems facing our city than with this program. It takes less than 2 minutes and costs less than your monthly Netflix subscription! Looking for the easiest (and maybe most fun) way to give back to Atlanta this holiday season? For just $8/mo, and less than 1 minute of your time, you can join [Tag @Hands On Atlanta] as an Annual Member. While there are a ton of great nonprofits in ATL to support this giving season, I'm supporting @HandsOnAtl as an Annual Member. For just $8/mo, my donation will help at-risk kids across metro Atlanta fight hunger and literacy challenges. Join me as an Annual Member and together, let's do something good! Right click to save and share images. Looking for the easiest (and maybe most fun) way to give back to Atlanta this holiday season? For just $8/mo, and less than 1 minute of your time, you can join @HandsOnAtl as an Annual Member.